These commonly used natural compounds protect your body and brain from the ravaging effects of aluminum poisoning. Fortunately, researchers are discovering a host of natural substances that can prevent and/or treat aluminum’s toxic effects. As described in part 2, observational studies show that people who ingest more aluminum from drinking water or have a higher geographical exposure to aluminum show greater cognitive decline with time and are at a significantly increased risk of dementia. Conversely, an increase in silica intake from drinking water is associated with a reduced risk of dementia. Silica helps aluminum to be excreted via urine but allows essential metals, such as iron and copper, to stay in the body. Furthermore, studies have shown that drinking silica-rich mineral water each day for 12 weeks helps to remove aluminum from the body. Preliminary evidence indicates that drinking silica-rich mineral water decreases body levels of aluminum in people with Alzheimer’s disease. In some patients, it simultaneously improves cognitive performance to a significant degree. To make sure you’re getting high-quality, pure silica and to avoid the expense and wastefulness of buying bottled water, I prefer supplementing with silica in the form of choline-stabilized ortho-silicic acid. This is sold in liquid and capsule form as BioSil by Natural Factors or as Regenemax by Xymogen. 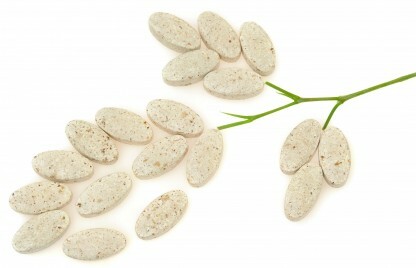 It is the most bioavailable source of silica and has been studied in human placebo-controlled trials. Silica has additional health benefits. When taken in the form of choline-stabilized ortho-silicic acid, it stimulates collagen production and connective tissue function and repair. Because of this, it has been shown to help to increase bone mineral density in osteoporosis and improve the appearance and texture of aging skin, hair, and nails. If you want to try this form of silica, follow the recommendations on the BioSil or Regenemax bottle. L-theanine is an amino acid derivative primarily found in tea. It has been reported to promote relaxation, relieve perceptions of stress, and protect the nervous system. One recent study investigated the role of L-theanine in alleviating the negative effects of aluminum-induced toxicity in the brains of rats. As expected, rats given aluminum showed significant increases in oxidative stress. Their antioxidant systems that normally protect the brain from free-radical damage were impaired by the aluminum. The aluminum poisoning also caused pathological changes in the same brain regions affected by Alzheimer’s disease. However, when the rats were given L-theanine (about 100 mg) prior to being given aluminum, they showed significant increases in antioxidant activity and decreases in oxidative stress. Not only that, but the pathological brain changes were reversed. The study authors concluded L-theanine clearly counteracts the damage inflicted by aluminium on the brain in rats. If you want to take L-theanine, take a 200-mg capsule before bed. If you typically suffer from anxiety or feel highly stressed, you can also try an additional 200 mg of L-theanine during the day for enhanced relaxation without sedation. Reduce your stress and protect your brain simultaneously. Green tea extract contains small amounts of L-theanine, along with other important compounds with medicinal effects, such as epigallocatechin gallate and epicatechin. A recent study examined the effects of green tea extract on rats with aluminum toxicity. The rats with aluminum poisoning showed impaired task performance and had decreased antioxidant activity in all brain regions. When the rats were pre-treated with green tea extract, the damaging effects of aluminum on their task performance and on their impaired antioxidant brain activity was completely reversed. The study authors speculated that green tea extract reduces aluminum-induced brain toxicity through its antioxidant effects as well as its ability to improve the functioning of synapses between neurons. Green tea extract and L-theanine may help reverse aluminum toxicity and treat cognitive impairment even better when used in combination. In one recent randomized, double-blind, placebo-controlled study, 91 patients with mild cognitive impairment took 1,680 mg per day of a combination of L-theanine and green tea extract for 16 weeks. The combination treatment led to improvements in memory and selective attention. Brain theta waves, an indicator of cognitive alertness, were increased significantly for three hours. Another herbal extract that can protect the brain from aluminum poisoning is Bacopa monniera. This medicinal herb is used as a “nerve tonic” in Ayurveda, the traditional medicinal system in India. Researchers recently discovered that bacopa extract prevents aluminum toxicity in the cerebral cortex of rats. In one study, rats given bacopa extract along with aluminum in their drinking water showed significantly less aluminum-initiated damage to lipids and proteins in brain cells. The bacopa extract also prevented a decline in the normal antioxidant activity associated with aluminum. In another study, aluminum in rats’ drinking water caused significant memory impairment on two different maze tests. However, rats treated with bacopa extract were significantly protected against aluminum-induced memory impairment compared to rats not given bacopa. In addition to having significant antioxidant activity in the brain and other effects that may help protect brain cells, bacopa has been found to enhance several aspects of mental function and learning ability in studies with patients suffering from age-associated memory impairment. If you want to try bacopa, use the dose most commonly used in human research: 300 to 450 mg per day of an extract standardized to contain 55% bacosides. Curcumin is the well-known anti-inflammatory and antioxidant compound found in turmeric. What might surprise you about curcumin is that it also protect the brain against cognitive dysfunction and oxidative damage caused by aluminum poisoning. As in the studies mentioned above, rats given aluminum show poor retention of memory in maze tests and displayed marked signs of oxidative damage within the brain. However, curcumin significantly improves memory retention, ameliorates the oxidative damage, and reduces aluminum levels in aluminum treated rats. A second study in aluminum-treated rats found that curcumin enhanced the activities of glutathione and superoxide dismutase antioxidant enzymes systems in brain regions that control learning and memory. The study authors concluded that curcumin exerts a protective effect against aluminum-induced age-related changes by decreasing oxidative stress in the brain. Because of its anti-inflammatory properties, curcumin supplements are an excellent option for brain protection in anyone with a chronic disease related to inflammation: joint disease, heart disease, diabetes, autoimmune disease, fatigue, depression, cancer, and more. Look for turmeric extracts standardized at 90% to 95% curcumin and take at a dose of 500 mg two or three times daily. 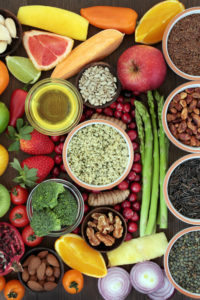 Aim for a high intake of these three important antioxidant nutrients from your diet by including lots of fruits, vegetables, nuts, and whole grains. Get extra amounts of these nutrients in a high-quality multivitamin and mineral formula. What strategies do you use to protect yourself from aluminum? Have you tried any of these supplements? Please tell us about it in the comments section below. J Toxicol Environ Health B Crit Rev. 2007; 10(Suppl 1): 1–269. J Alzheimers Dis. 2014 Jan 1;40(4):765-838. Am J Epidemiol. Feb 2009; 169(4): 489–496. Nutr Metab (Lond). 2013; 10: 2. J Ethnopharmacol. 2007 Apr 20;111(1):56-62. J Acupunct Meridian Stud. 2013 Aug;6(4):208-13. Nutrients. Feb 2013; 5(2): 478–497. Behav Brain Res. 2009 Dec 28;205(2):384-90. J Trace Elem Med Biol. 2004;18(1):113-21.
age associated memory impairment, aging, aging skin, aluminum poisoning, alzheimer, alzheimers, anti inflammatory, antioxidant, antioxidant activity, antioxidant nutrients, anxiety, bone, bone mineral density, brain, brain activity, breast cancer, cancer, cerebral cortex, choline, cognitive decline, cognitive impairment, cognitive performance, collagen, curcumin, dementia, depression, diabetes, diet, food, green tea, health, heart disease, inflammation, iron, joint disease, memory, memory impairment, mild cognitive, mild cognitive impairment, nutrients, nuts, osteoporosis, oxidative damage, oxidative stress, selenium, skin, skin care, stress, studies show, supplements, turmeric, vegetables, vitamins, whole grains. As a general rule I lean more towards getting my nutrients from whole natural foods rather than taking supplements. For example, macha is simply powdered green tea leaves containing a lot more theanine and EGCG than regular brewed tea, so I use that instead of green tea extract and theanine capsules. Unfortunately macha is also a bit expensive, so instead of drinking it straight (the package suggests two tablespoons per cup) I add half a teaspoon (along with fresh squeezed lemon juice and stevia) to one or two cups of ordinary brewed green tea every day. As a regular source of silica, I just use FIJI brand bottled water for brewing the same cups of green tea each day to which I add the macha. Two or three Brazil nuts every morning take care of my daily selenium requirements. For additional vitamin C, besides the lemon juice in the tea I also eat at least one kiwi fruit every day, quite often cut up in a mixture of natural yogurt and kefir. As a source of curcumin I use a lot of both fresh and powdered turmeric root. Sliced fresh turmeric is simply another ingredient I toss in with whatever fresh green leafies I happen to be lightly steaming that day. Note that the curcumin in turmeric is fat soluble, and the piperine in ordinary black pepper is known to somehow greatly enhance the effectiveness of curcumin, so I make sure to include both butter from grass-fed cows (usually Kerrygold brand) and/or unrefined coconut oil and pepper with those meals. For vitamin E, I primarily count on sunflower seeds. Another “staple” in my diet is my daily cup of what I like to call my “crazy, mixed up turmeric tea.” It started out as simply 6 ounces of water and a tablespoon of coconut oil (boiled together, in the cup, in my microwave oven), a generous sprinkling of organic turmeric powder, a dash of freshly ground black pepper, and a little stevia to sweeten it up. Over the course of time it has evolved to where it’s more like a soup than a tea. I have increased the turmeric to half a teaspoon, and also add half a teaspoon of organic ginger powder, half a teaspoon of liquid lecithin (an emulsifier to help mix the oil and water), and a teaspoon each of ground flaxseed, ground sunflower seed, ground sesame seed and whole chia seeds. In place of the plain black pepper I now grind together a mix of 2/3 peppercorns and 1/3 cloves, and add a quarter teaspoon of that mixture to my cup of “tea/soup.” This has proven to be a fairly painless way to add to my daily diet quite a bit of vitamins, essential fatty acids, prebiotic fiber and other nutrients that used to be almost entirely missing. Thanks for sharing these great ideas for how to get these important vitamins, minerals, and phytonutrients from your diet instead of supplements. It’s so frustrating that the evidence is ao clear about the effects of aluminum, in the mainstream medical community especially, and yet you qill not discuss, talk about the implications of the aluminum in vaccines…esp w more and more seniors getting the flu one and infants, staring at birth getring unprecedented numbera of shots. I feel confid3nt that any doctor qould not take that cumulative aluminum, put it on a spoon andnput it in thwir childs mouth. Qhen theWhen will we see solid studies with control groups of non vaccinated kids and compare health issues. It wouldn’t be difficult.